Blueberries are plentiful in the Finger Lakes Region of upstate New York and according to the eHow website, it seems that my clay-like and acidic soil is stellar for growing these "fruits of the earth" at 1922 Starkey House Bed & Breakfast. Trouble is, I am not always the patient sort and all my sources are saying that I will have to wait at least two to three years before the little blue gems begin to make an edible appearance. Time can fly quickly when you are having fun though, and I know I will be pretty busy making my guests very happy with their stay as it is. So, I will plant a bunch and let nature take its course while I concentrate on the other many jobs of an innkeeper/owner. I have been referred to as "Wonder Woman" before so now we will see if that is true. When exploring how to grow Blueberries I found that the best resources are the university agricultural sites, such as the local Cornell Cooperative Extension. Here, you will find the most comprehensive information about growing Blueberries and just about anything else. There are also numerous scholarly links to go to for any research studies about growing, preserving, and eating all types of fruits, vegetables, and grains grown in a specific region. The Cornell Extension is a valuable resource in these areas. Each state and university usually has some sort of website or other publication like this one. I also found a few private blogs and websites loaded with great information and, best part of all . . . recipes! Here is one of the best recipes for muffins (I will use this one at Starkey House) that I have found. I do not care for muffins that have a starchy, cakey-like texture and the kind that leave a packaged mix after taste. . .if you know what I mean. This recipe combines whole oats that are healthy and delicious. The moisture from the berry gives a delicious tenderness that cannot be matched. Just love them! Preheat oven to 400 degrees. Lightly spray 12 muffin cups with cooking spray. Mix oats and buttermilk in a medium bowl. Let stand 10 minutes. Add egg whites, butter and lemon peel, mixing until well blended. Combine flour, sugar, baking powder, baking soda and salt in a large bowl and mix well. Stir in dry mixture, just until moistened. Fill muffin cups nearly full. Bake 20-25 minutes or until golden brown. Cool muffins in tins on a wire rack. After 5 minutes remove from pan. Serve warm. I found that freezing and storing Blueberries is quite simple, you just have to be careful to be sure that none are moldy or wet, as with any other fruit. If you place the Blueberries on a cookie sheet and freeze them separately, you can then transfer them to a freezer bag and they should not stick together while keeping. You can do this with any fruit. I suggested this to my cousin Judy so that she could freeze black cherries to have all year long as a natural medicinal to aid in lessening the inflammation caused by arthritis. I suggest that you go to the above-mentioned university resources to learn about canning Blueberries or making them into preserves. It is great to keep jams and jellies on the shelf so that they are available at any time, don't you agree? 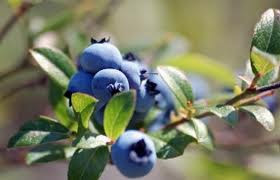 Thanks for reading about Blueberries and I hope you will have the opportunity to stop and pick some while visiting in the Finger Lakes Region, or come and stay a while at 1922 Starkey House Bed & Breakfast. 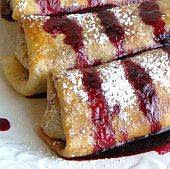 I will cook you up a delicious breakfast, maybe a Polish Nalesniki or Blueberry Blintz! 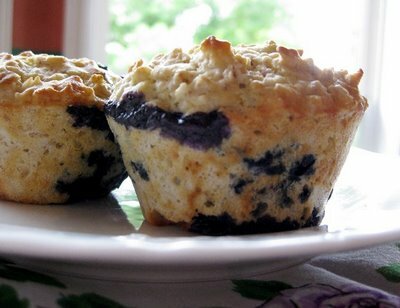 See you in the Blueberry patch.